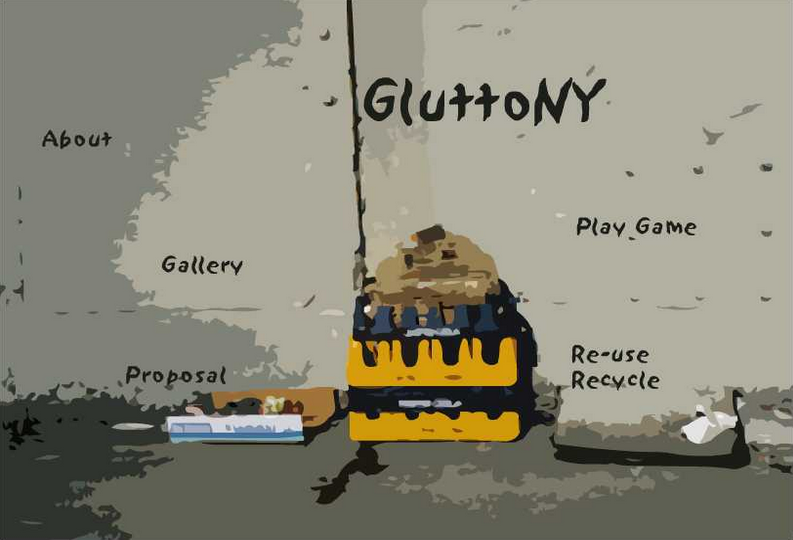 was an online game where users explore and reflect upon the gross indulgence in excess and gentrification by picking through trash as they walk through the Hell’s Kitchen neighborhood of New York City. As I walk down the streets of my mostly working/middle class neighborhood, I see so many items in the trash pile that are not worn out or broken beyond repair. Between the hours of 2:00-2:30pm on Feb 13, 2004, I walked the blocks 47th, 48th, and 49th streets between 9th and 11th Avenues. During that half-hour, I photographed 32 different pieces of garbage that could be used to house someone, or to furnish someone else’s home. This did not include clothing, food, or bagged trash. It was only furniture or housing materials.